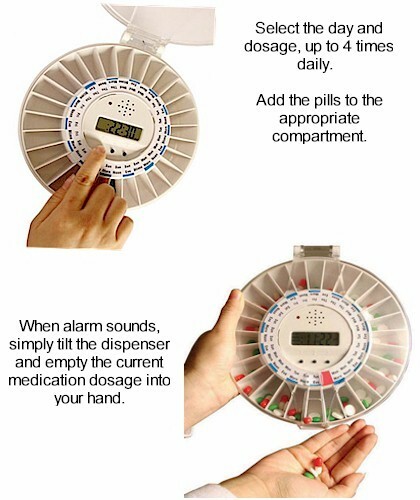 MedeLert Automatic Pill Reminder Dispenser will help ensure your medications are taken on time! 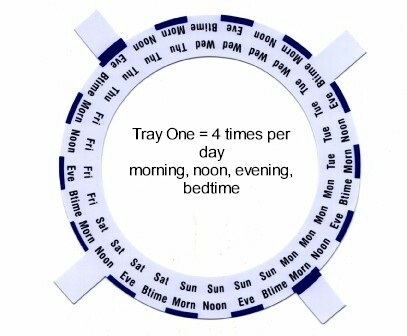 If you, or a loved one, have difficulty remembering to take your pills on time this automatic pill dispenser solves the problem. Medelert is easy to set up and simple to use and will hold one week's medication with the ability to dispense your medication up to four times daily. The compartments are labeled Morn, Noon, Eve, Btime. Four times per day x 7 days = 28 individual compartments. Note: If only two dosages are needed each day, the MedeLert will hold 14 days of medication. Each compartment will hold up to 18 aspirin size pills. The compartment size is 20% larger than other automatic pill dispensers. 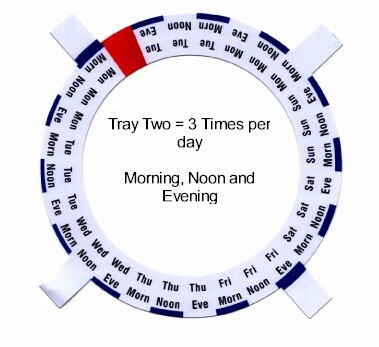 The MedeLert is supplied with clearly printed discs which identify the day of the week and the doses per day (1, 2, 3 or 4 doses daily.) 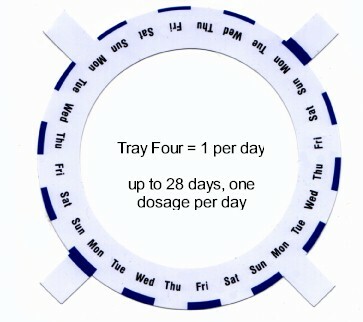 Choose the appropriate disc for your dosage requirements and place in the MedeLert tray. 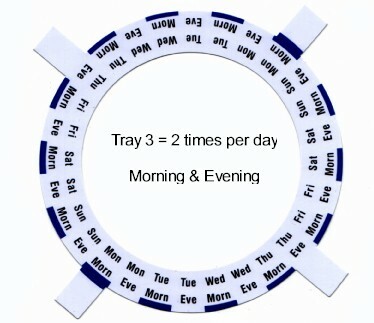 The disc placed into the tray will guide you as to where to place your pills. 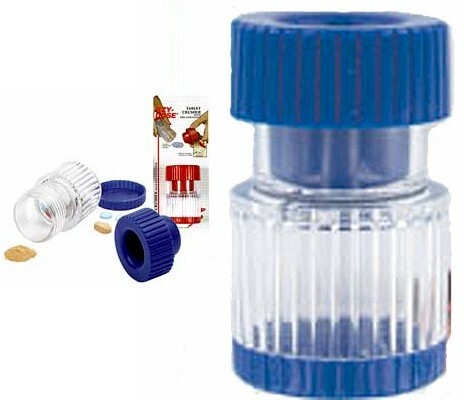 The tray is easily removed from the unit and easily replaced with a "filled" tray. A test system is incorporated into the unit. Three unique alarm tones, as well as silent, accommodate different hearing levels, all with an accompanying blinking light alert you or your loved one that it is time to take your pills. The medication dispenser will not rotate to the next dosage and the alarm will continue until the current dosage meds have been collected. To stop the alarm and the blinking light, merely pick up the MedeLert and tilt over to empty the compartment into your hand or suitable surface. The dispenser has a low battery alarm. 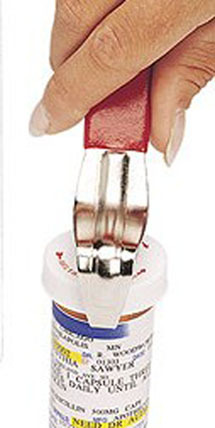 The medication dispenser is tamper proof and lockable. 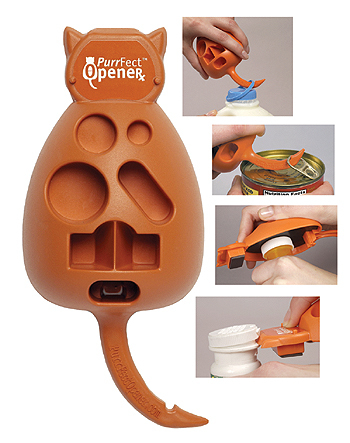 The unit includes one key and four batteries. Additional Med-E-Lert Trays are available for an additional charge. Note: Click on "more pictures" button (just below and to the left of the image) to see pictures of the four alternative daily organizers.